Hello friends! Annie here! I am beyond humbled and ecstatic to be here chatting with y’all. Let me introduce myself a bit for those that don’t know me. I’m Annie and I love to read. Surprising, isn’t it?! Yes, I also have a tinge of dry sarcasm that doesn’t always translate well. Nevertheless, I love to share my thoughts, especially when it comes to books. 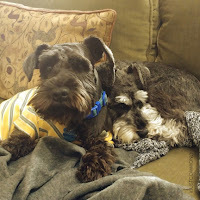 I have two very adorable (and mischievous) puppies, Gabby and Reagan. They haven’t understood the meaning of quality reading time for mommy yet. We’re getting there. Many of you will know me as Just Commonly, which is the name of my blog, and along with fellow Seeker, Carrie and avid reader, Bonnie Roof, we are also the founders for Christian Fiction Readers Retreat (CFRR). The ultimate question: why do I love Christian Fiction so much? Now begins the story. . . Many people will have at least one year they can't let go, an unforgettable year, and a year that changed something in them. That year for me was 2013. When the double pink line appeared, a smile crossed my face. Our first pregnancy. Elation soon turned to worry as my Darcy was told to keep an eye on me. Nevertheless, we continued on our days and doctor visits. On our ride to every visit, Plumb's Need You Now played on the radio, despite different days and times of the day. A song that to this day comforts me. Then one day, excruciating pain incapacitated me. I woke up to my front door kicked open by my Darcy trying to get to me, and a trip to the hospital. No one told me anything for what seemed like forever, and finally a familiar face, my doctor, came and told us the news. I had what they called an ectopic pregnancy, a pregnancy outside the uterus in layman terms. At 12 weeks, I was in serious danger, and my "baby" would not survive. On May 13, 2013, I was no longer pregnant. I was in a daze for weeks to come, yet on every follow-up visit to the doctor's office, another song played on the radio. Blessings by Laura Story. Nothing is a coincidence. Those songs prepared me and reminded me even when I didn't notice at first, that our God is our Father, and He's comforting me. Some may have already heard this story in one of my earlier posts, "God of Coincidences" on my blog. And you may ask, "What does this have to do with Christian fiction?" Well, you see, the songs prepared me and comforted me at a crucial moment of emotional and physical pain. Yet, it was Christian fiction that healed me. Or at least it was what God used. Just as God inspired and used musicians like Plumb and Laura Story in their music and lyrics, God also inspired and gifted authors the words to their stories. It was these stories that mended the brokenness I felt since. My first encounter with Christian fiction was in that very year, and that's because I used books to escape. Unbeknownst to me, the books with the pretty covers and the historical settings gave me more than a story. What I thought was an escape, had become the soothing balm to my soul. Physical pain may have dissipated, but the emotional trauma wasn't so easy to forget. I thought hiding behind history and make-believe would never remind me of the loss and inadequacy I felt. God had other plans. 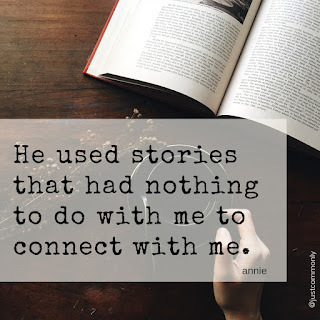 He used stories that had nothing to do with me to connect with me. God called us to be "salt of the earth" and "light of the world." I've heard many say that it applies only to missionaries, but aren't we all missionaries in our own ways? My author friends, your stories give readers flavors, widespread and essential. When you follow God's heed in your writing, each word, each story, and each novel are granules of salt, scattered, waiting to be tasted. Now it's up to readers to taste and experience. And don't worry about the negative reviews. The message doesn't always hit us at the same time, and even when it's already tasted, it may not be fully understood until the time is right. You've salted and now it's up to God on when and to whom He plans on letting the flavor of that granule of salt explode. As always, God's timing is perfect. Personally, I think Christian fiction kind of sneaks up on you. Just like a kind word, you'll never know when someone will need it. Its many flavors rival the flavors of the world, and there’s always one or more that fills your hunger just at the right moment. As authors, your flavors have the potential to reach masses, so be "the salt of the earth" and continue to implode flavors on us readers, either openly or stealthily. I guess in short, I love Christian fiction because it's personal, and the experience may not be the same for another. To end, I want to thank every one of you - authors, for your stories and readers, for your support and sharing of these stories. I'm gifting an author (from published or on non-published island) their choice of either ebook or print of one of the Writer's Guide Thesaurus by Angela Ackerman and Becca Puglisi (open internationally as long as Amazon or Book Depository will send it your way). And 1 reader will win a surprise pack of books that I hope will flavor your life (US mailing addresses only). Just leave a comment to enter for a chance to win (and let us know if you want to win the author or reader giveaway). You made me cry... and they were tears of such sadness and great understanding because we get the idea of "The First Gift"... what a miracle each child is... And Annie, you put this so beautifully. I love Laura Story's song "Blessings". I use it personally and I use it when talking with others because life is so unpredictable... and then we turn around and see that somehow, things work out. That somehow life finds a way, and those shadows were part of the path, like a Robert Frost poem. Thank you for this. For sharing your story and your love. It shines through you like a beacon, and you've helped so many. And by the way the dogs are SUPER CUTE!!! I'm traveling today, to NYC, so I'll be checking by phone... when it let's me. Thank you, Ruthy! Back at you too! Your stories made me cry many times! I read The First Gift and understood it. So thank YOU! I so want to read & win. God Bless You! Thank you Mikala! God bless you too. COFFEE AND TEA HAVE ARRIVED!!!! I’ve never heard someone describe why they love Christian fiction in such a beautiful way, Annie. I’m crying in my cubicle. Thank you for this lovely and heartfelt post. Thank you, Jill. I'll have to remember the tissues. From my heart to all of yours, fiction, specifically Christian fiction have that ability because God used it. Jill, I read this over before she posted it and could barely read it through my tears - isn't it beautiful? Agree wholeheartedly. So stinkin' beautiful. Thank you my friends. *hugs and kisses! Happy Friday everyone! I have a few appointments this morning, so I'll just drop off some breakfast pastries and be back in a jiffy! Good Morning, Annie, and thank you for sharing your heartbreaking loss and your heart-healing journey of God's comfort you found in Christian fiction. As authors, we never know where God will send our stories and how they will touch lives. Thank you for the reminder. Thank you Glynna. I appreciate you and all authors, because God gave you the gift of writing, and He will use those gifts to touch others in ways we can't always know or understand. Good morning Annie. Yes, I know from "Just Commonly" and I somehow missed this life-changing time in your life. I am both a music lover and a lover of the written word and the music and books that share God's Love and His Promises are favorites. Thank you for sharing your story and I would love to be entered as a Reader in your giveaway. Thank you Connie. Aren't they (music and the written word) such great gifts from God? Thank you for entering and stopping by! Happy weekend! Music and stories and Scripture have inspired so many of my books... including child loss and miscarriage. You all know that one has stricken us multiple times. I'm so glad we get to address life's real issues in our work. So blessed. And thank you, Ruthy for following God's nudges to create these stories on real life issues. We NEED them. Sweet Annie, thank you for sharing your story with us. Praise the Lord that He out just the right things in your life as you dealt with such a difficult situation. He had a way of doing that. I can certainly relate to Christian Fiction being healing. Sometimes I find that when I'm going through a difficult time, God will place the exact book in my hand that will lift me up and help me to carry on. Thank God for Christian writers! And you. Hugs!! He's so faithful to do that, isn't He? To meet us where we are, where our hearts beat. Love you, sweet friend! Hi Diane! I heard once that music is our soul's love language and I totally get that! Diane, I totally agree. Music have such a way of seeping into our hearts, and words and books have such lasting impression in our memories. I experienced a ruptured ectopic preganacy back in March of 1996. I KNOW how you feel and they really don’t tell you much until just before they take you to surgery. My husband worked 45 miles away. I have no idea how he got our young son and got to the hospital. I have flashes of memory from that day (I was at work).... some things I don’t think I’ll ever forget. I lost a lot of blood, so my recovery took a while both physically and emotionally. God gifted us another son almost 3 years later so please don’t give up hope. You will see that child again some day in heaven. It’s been a long time now but we still occasionally talk and wonder about that child but know it’s in God’s hands. The tears are good tears now. What a scary time that must have been, Perrianne! He is faithful to give us good tears and healing if we lean into Him, isn't He? O Perrianne, my tears are with you and thank you. It's been tough with hope, but each time, God used words to heal me. And you're right, tears are good in time, especially with Him. Perrianne, I believe we will see those babies one day. Whole and happy, their souls seeing ours and rejoicing. I will be the gal in the third rocking chair to the left, weaving stories and giving hugs. I will meet you there. A beautiful picture. One day, we'll see them and meet again in heaven. Annie, your story brought tears to my eyes. Many years ago, we lost a pregnancy at eleven weeks. In the weeks after that, I looked for an escape. I bought The Atonement Child, by Francine Rivers, because it was one sale. ;) I read it, and I cried through it. And I fell in love with that story. God used it to speak to my broken heart. Annie expressed her story so beautifully, didn't she? I love how God uses story to speak to us - right where our bookish hearts beat. O Jeanne, I'm sorry for your loss. Our hearts can be fragile but our Lord Father knows the perfect healing balm. Thank you. Annie thanks for reminding me again why we do this. I have been touched by Christian fiction more times than I can count. I'm a writer but would love to win the packet of books. I'm dry and sarcastic too, and it's something I really have to watch, especially online and on the phone. If people can't see my face, they often don't know how to take me. Off to conduct business, may be back later. Christian fiction is so powerful, isn't it?? Kathy, I get it. Even in person, sometimes people misunderstood by bit of sarcasm...which I'm working on. Lol. I love it when I read sarcasm in Christian Fiction without the words, sarcasm or sarcastic. And that's when I am reminded by how I present myself. It's so enlightening in so many ways, don't you think?! Thank you and keep writing! I'd love to be put in the drawing for the writer's book. Thank you again for sharing your journey and your heart with us! Annie, such a beautiful, heartfelt post. Thank you for sharing a time of your life that was so painful. What a lovely testimony to Christian fiction. I'm glad the stories you read brought comfort and healing. You have turned your grief into a beautiful ministry that touches writers and readers alike. Thank you for sharing your love of story and, even more important, your love for the Lord. May God bless you always as you continue to be light and salt to the world. Thank you Debby. Thank you. God bless you with words to continue to be light and salt of the world too. Thanks for sharing your heart with us Annie. Reading Christian fiction has rescued me many times from the depths of despair. I just love that feeling of losing touch with reality for awhile and sinking into that book-world. If you would kindly toss my name into the hat for the author prize, I would appreciate it. I love that God meets us where our bookish hearts beat! This post really spoke to me, providing encouragement on several levels - as a Christian, as a reader and a writer. Thank you so much for sharing your story, Annie. It spoke to me so deeply too! Thank you Laura. God bless you always! Well, Annie, it appears I wasn't the only one crying as I read your post. Such touching words in so many ways. If we were all in the same room, we'd all be a blubbering and Ruthy would be passing out some of her amazing baked goods. Because there's a reason it's called comfort food. Thank you for sharing your story. As an author, real life experiences often make their way into my stories. We never know how our story might impact and encourage someone else. But I can already tell you've touched people with your story and that's a very good thing. YES! We need some of Ruthy's comfort food for this post! And luckily here it is! Homemade New England bread pudding, Buttermilk pie, hot chicken and biscuits for lunch and some Southern sweet tea..and more coffee, my darlings. You wish is my command. Ruthy, you must be channeling your inner southerner today. LOL. Love those comfort food. And nothing says comfort than "Southern" food. Annie, beautiful post! Thank you for sharing your story so that others may know God's healing ways. When we lost our first son, Joseph, God surely worked through both music & books to help me heal as well, and then blessed us with 4 healthy kids. I will keep your beautiful family in my prayers. That tiny boy is playing ball in heaven and when I get there, we'll have a game of catch. And no way will I let him best me. For love of the game... And the kid. Do they have baseball mitts in heaven? Surely they must. Thanks, Carrie. I hope that other moms will feel more at ease with sharing their grief over lost babies. It's not something that families should have to keep secret - unless they want to, of course. Thank you Beth! And I'd like to picture Joseph as the big bother holding the little ones' hand and smiling at us. They're playing ball, and when I meet them, I'll play along and watch the Yankees! That is so sweet, Annie, and sounds perfect! Annie, I am so sorry for your loss. And what a touching tribute to music and Christian fiction. I loved this quote: "When you follow God's heed in your writing, each word, each story, and each novel are granules of salt, scattered, waiting to be tasted." Authors, we are praying for you as you heed God's leading. Someone out there needs your words. AMEN, Jeanne. Thank you. And so right. One of the best things we can definitely do to support authors are to pray for them. Thanks for sharing your story! I am a reader. Im so glad you stopped by, Vicky! We love readers so much. Beautiful post, Annie. I am so sorry for what you went through. It is nice to know how Christian fiction was able to help you. I have to remember that as I write. Please enter me for the writer's gift. A good reminder for our beloved authors, yes! Thank you Sandy for stopping by, but also for being a writer! Your words have purpose. Thank you! Hi, Annie. Thankyou so much for sharing. I really get a lot out of Christian fiction. Some books have so many worthy quotes. I just might start keeping a notebook of quotes! I had a miscarriage between babies 3 & 4. I don’t remember much except a very bad backache and bleeding. But that evening, in the hospital, a friend called me and told me that God loved me and was watching over me. I already knew it but it was like a special reminder just for me at that time. I’m glad she was not afraid to tell me! So go ahead and share those quotes from Christian fiction , they might minister to someone! I would like to be entered for the reader prize. Thanks, Annie! God is faithful to give us grace when we need it, isn't He, Paula? Thank you Paula. The pain really never leave us, but God's grace does comfort us in the most perfect timing, even in ways we never thought. And I LOVE quotes. I have notebooks of quotes, but they're usually mixed in with whatever I was writing at that time. - more like sketching. LOL. Now I do little page tabs to remind me of the spots, but I need to start writing them down again. Doesn't always stick until I write it down. Just yesterday I was thinking about seeing my lost babies when I get to heaven! Thank you, Annie, for your honesty and bravery in sharing your testimony. It's beautiful how God healed you, comforted you and reminded you of His love through Christian Fiction. I love your analogy about the salt of earth; I never thought of it that way but it's so enlightening and true. Thank you for encouraging us all. God bless you. I would like to enter the reader giveaway. I had never really made that connection between salt of the earth and our beloved CF authors either, Chanel! i love it! Thank you, Chanel - for your support and kind words. It's such a pleasure meeting like-minded people - booklovers especially through this blogging community. And seeing your name in the comments have always brought a smile to my face. Thank you!! I'm new to Christian fiction, but I think god is leading me in this path as I walk/stumble/fall/run on this faith journey He is helping me on. Viewing how characters in books have similar problems and questions as me, helps me think deeply about my relationship with God. Please enter me in the reader prize. So true Danielle. And I think I was like that when I stumbled into Christian fiction! It was very shocking when I told people I haven't read anything by Francine Rivers or Jannette Oke - now remedied. I didn't know about this genre, and I've been a reader my whole life!!! We all approach books differently, don't we? From our own experiences, our own hearts, our own fears... you're exactly right, Denise! LOVE you back, Denise! Need another hug when we meet again! (Picture too!) Yep! Readers don't always get the same reaction, and especially not when you reread something. However, I remember reading something and DID NOT like it, yet there were some parts that stayed with me until it made sense months later. Sometimes our heart or even our mind was there yet, but God left that seed there for it to sprout at the right moment. My 4th pregnancy was a missed miscarriage at 12 weeks. It was hard at first but somehow I came to terms that it was not meant to be. My niece on the other hand had an even tougher pregnancy she gave birth to twins in 2008 but only one survived I still can't imagine the pain she went through only bring one baby home. O Kim, I am so sorry, for you and for your niece. Sometimes it doesn't make sense or you just don't understand why. I've done a lot of doubting, wondering, but then, you realize our God IS GOOD. The little things around us that helped along the way in our grieving, it gives us comfort. I still grieve and have moments where the pain hits you so hard you can't breathe, but God's grace is sufficient. He knows the perfect ways to soothe me and give me the peace I need. God bless you. ANNIE, thank you for sharing your heart! May the Lord continue to pour out His Love upon you and Mr. Darcy. Christian fiction is a balm to the wounded soul. I'm grateful for those authors that follow the Holy Spirit's direction for their lives and writing. You are a BLESSING to the Body of Christ! A balm to the wounded soul - yes. Amen. ANNIE!!! 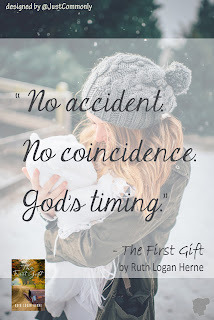 LOVE this blog, LOVE Christian fiction, and LOVE you, my sweet friend!! Still have you on my prayer hit list, too, and you won't come off till I get to send you a baby gift!! I still need to read both of those books... adding them to my want-to-read list! HUGS dear Julie! THANK YOU, JULIE, my friend. You are amazing, and Darcy said thank you too. It's amazing how God bless you to bless others, but also yourselves. It's nice to hear authors' stories taught them something along the way as well. And adding The Shape of Mercy & Promise Me This to my TBR too!! Thanks! Hahahahaha!!!! YAY!! We're a tough bunch, aren't we?!! Oh Annie, my heart breaks for you as I read this. Isn't it wonderful though, how God sends us what we need when we need it? I also miscarried 24 years ago. At the time I was rehearsing with our church choir for our Christmas cantata. There was a song that had the exact message I needed to hear. I ended up getting bronchitis and wasn't able to sing, but I have remembered that song to this day. Fast forward to a few years ago. I had just been told that my mom had 2 weeks to live. It was pouring down rain and I was sobbing as I drove to the hospital to see her. This is when I heard Laura Story's "Blessings" for the first time. I just looked up and said, "Thank you, God. I needed that." Through both experiences and many others, Christian fiction and music have been there with just the right words. And to prove He is always faithful, 3 months after the miscarriage I was pregnant again with a healthy baby girl and my mom actually lived 14 months more after that diagnosis. Thanks for sharing your story. I would love to be included in the reader's drawing. Julia! O, I love your testimony here. Thank you for sharing. It's beautiful and O so perfect in showing God's shower of "blessings" in His way that is also perfect in reaching us in our own ways. Thank you. Yes yes yes! And my dream, hope and prayer - that these wholesome and inspiring reads reach the masses in more ways than our little minds can fathom. What a wonderful post, Annie. I'm so sorry what you went through, that sounds awful. Such a wonderful testimony of how Christian fiction author's truly so touch lives. I have said so many times to people that Christian fiction blesses me, and most look at me like I am crazy. "How can anything fiction bless someone?" It has always been hard for me to explain beyond the very fact that it is an escape for me from the busy, hectic, mess and stress of life. The characters in many of these books encourage me by their faith and give me something to focus on instead of my trials and troubles. They make me laugh, make me cry, and even grip the pages as I am transported inside these stories without even having to leave my home or family. I love to help support Christian authors for this very reason. If I can in some way be a blessing to authors by reading, reviewing, and sharing their work with others, I feel like it is just a small way I can say "thank you" for following God's call in your life and allowing God to use you so greatly. Please enter me in the reader's giveaway! AMEN Tiffany. EVERYTHING you said. Yes. Christian fiction does all that. Thank you for your support of Christian authors! Words can be very powerful! I love that christian fiction authors can cover difficult topics and often help and inspire people. So true, Patty! Thanks for stopping in! Ah, Annie, your story is so heartbreaking and beautiful. It is so like our loving God to turn our ashes to beauty, to give us what we need when we need it. Blessings, sweet lady! OK. The eagle has landed! All right, more like I am BACK. Those appointments took way longer than expected, so thank you to my fellow Seekers for chatting and bringing the goodies! How about some afternoon snack? Dove Promises chocolate and some chips and salsa? Oooh, chips and salsa, please! Linda, I'm so sorry for your loss. Losing anyone is hard, and a parent? It's inconceivable. Praying for you - Pray that you feel God alongside you, comforting you and letting you know you are not alone. I pray that you'll find peace and treasure the good memories bring you joy. Thank you for sharing. God bless you always. Annie, my heart hurts for you and your Darcy yet I also rejoice with you! God is so good to us! Thank you for sharing your story and what an encouragement for our author friends! Love you, dear one! LOVE you back, my friend. God is GOOD. Thank you!! That is a touching story, Annie. I've also lost unborn children, and I know that devastating empty pain. You are so right about Christian fiction and Christian music, and it is no coincidence that heard and read what you needed at that time. Last fall we learned that we have a twelve-year-old granddaughter (yes, a real-life secret baby!). The wide range of emotions connected with this news took me by surprise...but I know they didn't take God by surprise. Unknown to me, my TBR pile held two secret baby stories that I've read in the last few weeks. If I had read those last fall, it would have been too soon. The emotions were too fresh. But through the perfect timing of reading these books, God allowed me to draw out the emotions and deal with them one by one. Now I'm wondering what other surprises my TBR pile holds! Please enter me in the reader's drawing and thank you! LOL! Thank you Phyllis! Happy weekend! What a great testimony, Annie! God bless you for being salt and light yourself! I so appreciate your support of us authors. Love and hugs to you always. Thanks so much for sharing your story, Annie. Christian fiction and music have had a huge impact on my life, as well. Thank you, Leslie. Of course you can! Congrats! I didn't realize you're writing (I mean as an author.) Thank you for making that step into writing. Thank you for sharing from your heart, Annie! I am so thankful the Lord comforted you through Christian fiction and music. I appreciate all you do to support authors and spread the word about our books! Blessings to you! Thank you, Carrie! I'm so blessed to have met you in person and to have enjoyed your stories. Thank you!! Thank you, Pam! It truly is! Annie, I'm sorry I'm late to stop by. What a beautiful post, and so encouraging for writers. Thank you for sharing your heart and your life with us. This is such a meaningful message. Thank you for sharing it! I tweeted and pinned. Other people need to read it, too. Would like to win the reader package, please. Annie, thanks for sharing your story. I've not had a novel published, yet, but my desire is always to honor God with my stories. You are truly inspiring and you challenge me to write even better stories. Thanks! O, Jackie! Thank you for your kind words. Your stories matter as Carrie would say. So thank you for writing!! ❤❤ thank you, Janet. Anyone who've read your stories will say the same to you. Thank YOU!!! Thank you for your words of wisdom. Christian fiction becomes personal, perhaps because the writers are just like us (the readers) and we can become like their characters, learning and being molded through the book. I’m a reader and would love the chance at the reader’s giveaway. You inspire and remind me why I write Christian Fiction. Thank you for sharing. Put me in the writer's drawing. Beautiful post. I agree that the authors are touching lives and “salting” the earth with their gift. I have had many an ancoragement and much needed conviction from these stories. Thanks for the reader giveaway chance! I enjoy Christian fiction and yes, I believe it can be used to salt the readers' lives. I am often encouraged by a scripture or Godly truth that I read in a CF book. Thank you for sharing. What a powerful testimony. It's tough to go through difficult circumstances but you have come through on the other side with a hope that will help heal others. I love how songs on the radio can be just what you need to hear and how Christian fiction can totally speak to you in that moment. I will often write down quotes from CF that speaks to me. I'd love to win the reader giveaway. Thanks, Annie, for your heartfelt and inspirational post. I appreciate you sharing with us. Hugs, sweet friend! Please enter me in the reader giveaway. Wow, What an amazing post and giveaway to boot! I would love to win the surprise books to read! Always need some extra inspiration and guidance! I'm reading this a couple days late but it's just as much a blessing. I love the part about "Sometimes I think Christian Fiction just grows on you" and I agree. I've read CF where I had little or no emotional reaction and picked it up later to be hit between the eyes or comforted like being wrapped in a warm shawl. Thank you for your work writing this post. Thank you for the reminder that God often uses our words. Many books have shaped and influenced my life. Thank you for the generous give-aways! As a writer, I'd love the Writer's Guide Thesaurus, but as a Pastor's wife, I'll share the books in our church library.